Very wonderful stay here! Everyone was so friendly and fun to be around. The location is perfect! Check in is at Hotel Calendal. Hostel is clean and quiet. I had the ensuite with shower and toilet in the room, but the toilet was tiny. I could barely fit in. The shower was very blocked up so the water didn’t go down easily. But both were clean. The room had A/C, hangers and small boxes to lock things but too small for bags. The lobby/kitchen was well-equipped. Wifi did not work at all while I was there. But excellent location was worth it! Highly recommended. Clean. Well located. Quiet. AC for the hot summers. Private plug and light. Not very lively because there is just a small common area to eat. Would recommend. Great location. Clean, quiet and functional. the hostel all in all is really okay and the location very good. but one critic: I didn't like the sleeping room for 3 people very much. the double bed seemed fragile and i think the space is too small for 3 people with all their stuff. 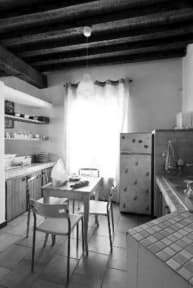 Good basic hostel in a really fantastic location in the centre of Arles. 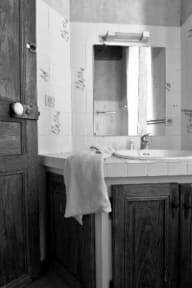 It is 5-10 minutes walking from the station, and close to all the main attractions in Arles. The beds are reasonably comfy, and the rooms are air conditioned. Bring your own padlock to use the under bed storage boxes. The kitchen is equipped with a microwave, a fridge, and a stove. The only thing missing is an electric kettle, which was annoying, especially in the morning! Bread, jam and milk are provided. The beds were super comfy and the air con was a real treat! WiFi didn't work which was a pain. Also our door didn't lock itself when you entered or exited, leaving the door unlatched. The staff didn't tell me this and I only worked it out a day in which was worrying, after that though no problem. I would definitely stay here again though. Awesome little hostel! The hostel itself is just like a separate apartment from the big hotel, and the hotel does reception for it, the hostel itself is mainly just a dorm room and a nice kitchen, but no atmosphere at all. I booked a 6-bed dorm room and they have put me in a 3-bed one, which is great! The check-in is done in a hotel next to the hostel and they will give you the room code to unlock. After that, you won't see any staff anymore. The location is pretty central, right next to the amphitheatre, easy to walk around. The bunk bed is super noisy for people sleep above. Cleanliness is ok. Breakfast is just baguette and coffee. This is the only hostel I found in Arles so you don't really have much choice. Very antisocial vibe at the hostel, though safe and secure and in a great location.